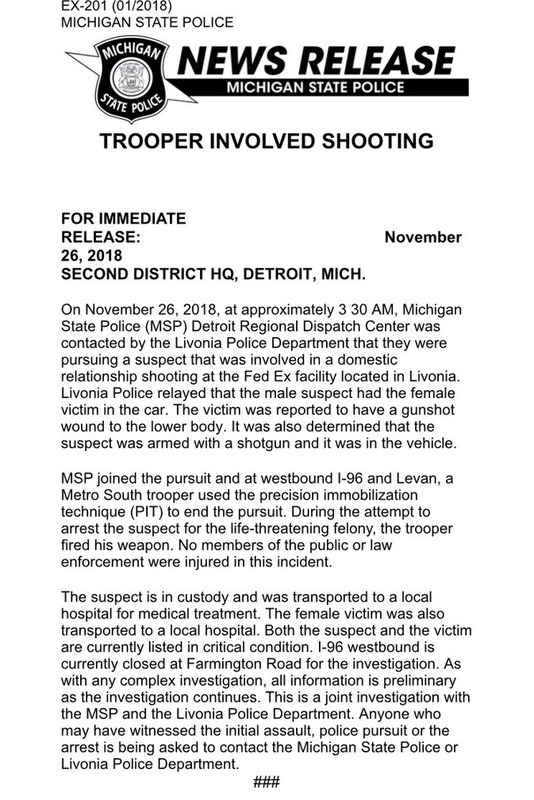 Livonia: Livonia Police and Michigan State Police pursued an armed shooting suspect early this morning on the I-96 in Livonia. The incident began at around 3:00AM at the Fed Ex facility, 38401 Amrhein Rd in Livonia, near the I-96. The suspect was armed with a shotgun and dispatch tapes suggest he shot his wife. The suspect entered the eastbound I-96 and Livonia PD began its pursuit. 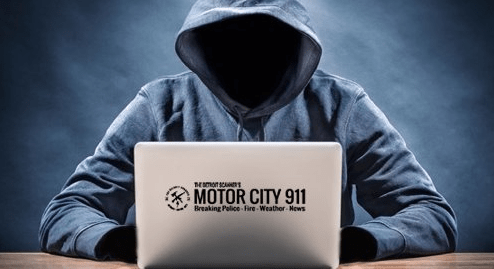 The pursuit continued on the E/B I-96 until the suspect exited Telegraph Rd, returning to the I-96 and heading westbound. Michigan State Police soon joined the pursuit which ended on the westbound I-96 @ Levan Rd. There, a collision occurred between the suspect’s vehicle and an MSP unit. An officer involved shooting occurred at that location and dispatch tapes suggest an MSP trooper was involved in the shooting. A Livonia EMS unit was dispatched to the scene for 2 victims with gunshot wounds. Dispatch tapes suggest the victims are the suspect and the suspects original victim from the Fed Ex facility on Amrhein. The freeway is still closed at the time of this writing. The suspect, identified in dispatch tapes, has an extensive criminal record. A PPO was issued recently for his wife.